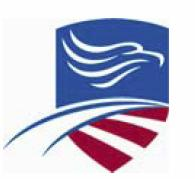 Washington, DC – The Postal Regulatory Commission has established Docket No. PI2016-2 to solicit public comment on the scope of its authority over Postal Service determinations to close or consolidate post offices. Title 39 of United States Code 404(d) sets forth the requirements for the Postal Service to follow when it closes or consolidates a post office and authorizes the Commission to review these closures and consolidations. The Commission seeks written comments regarding the interpretation of terms and concepts related to section 404(d) including the distinctions between closures or consolidations and relocations or rearrangements of postal retail facilities, and the interpretation and application of the sole source standard which provides for Commission jurisdiction over certain contract postal units. Interested persons wishing to file formal comments to be included online in the docket must first register with the Commission. Instructions for submitting formal comments are available on the Commission website, www.prc.gov, under the “Filing Online” button. Interested persons who do not have Internet access may submit comments to the Postal Regulatory Commission at 901 New York Avenue, NW, Suite 200, Washington, DC 20268. Initial written comments are due no later than January 29, 2016, and written reply comments are due no later than February 23, 2016. The Commission has appointed Lauren A. D’Agostino to serve as an officer of the Commission (Public Representative) to represent the interests of the general public in this docket. RICHMOND, Calif. (KGO) — A mold problem has shut down the main U.S. Post Office in the city of Richmond. It’s an 80-year-old building that was built in 1938 and it looks pristine on the outside. Still, there is a health hazard that needs to be cleaned up before it can be reopened. One by one, potential customers approached the front entrance of Richmond’s main post office, only to find it locked up tight. “The post office is closed. I was trying to check my P.O. box and go to work,” Shannon Smith of Richmond said.The problem is mold that was found in the basement of the 1930’s art deco building. It’s is something the postal service determined needed to be cleaned up, immediately. Left unchecked, mold can cause health problems, even death in extreme cases. 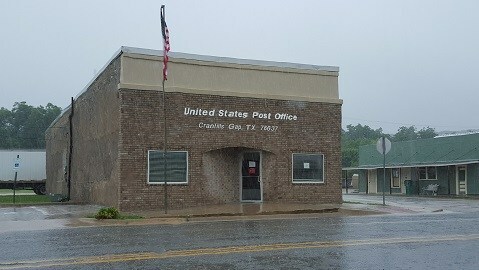 KURTEN, Texas – Kurten residents are frustrated after their Post Officewas closed down without warning last week. The U.S. Postal Service says the building has flood damage from spring rains and is not safe for employees or customers to be inside. News 3 looks at where customers have to go now and why this isn’t the community’s first fight against the federal government. 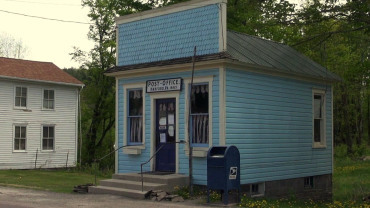 There’s still a a big blue mailbox but the Kurten Post Office is no longer open for business. WASHINGTON, D.C. – U.S. Senator Heidi Heitkamp today announced that she is pressing for a study of the interaction between the lack of adequate high-speed wireless Internet access in rural areas and the reliability of U.S. Postal Service delivery. Heitkamp and U.S. Senator Claire McCaskill of Missouri officially requested the study. Forty percent of rural residents across North Dakota lack high-speed Internet, meaning many North Dakotans rely heavily on the Postal Service for their global connectivity. But as the Internet has become an alternative to traditional mail in more urban areas, the post office remains an integral center of rural communities. Heitkamp’s effort today follows her consistent work to hold the Postal Service accountable to North Dakota’s rural communities. Just last month, she introduced a bill to improve rural mail delivery and standards. CRANFILLS GAP – People in Cranfills Gap are tired of commuting to Clifton to go to the post office after theirs was shut down last month. U.S. Postal Service officials won’t do into detail but say it was shutdown for “health and safety issues with the building” however locals say it was closed after a woman stepped through the floorboards. Whatever the reason, people like Sandra Hartley say something needs to be done soon. “A lot of people mail a lot of stuff from around here and then I get stamps all the time,” says Hartley.